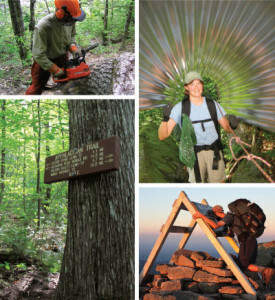 Volunteers of the Maine Appalachian Trail Club faithfully maintain and manage one of the wildest and most scenic sections of the A.T. Measuring 267 miles, with more than 60 miles of side trails, MATC’s section is the longest of all club assignments along the 14-state A.T. corridor. MATC requested an update to their brochure with the goal of attracting and inspiring new volunteers to continue these great efforts. Impactful ‘on the trail’ visuals show the variety of trail construction and renovation projects a volunteer can expect. The brochure is bold and memorable – qualities true to the Appalachian Trail itself.